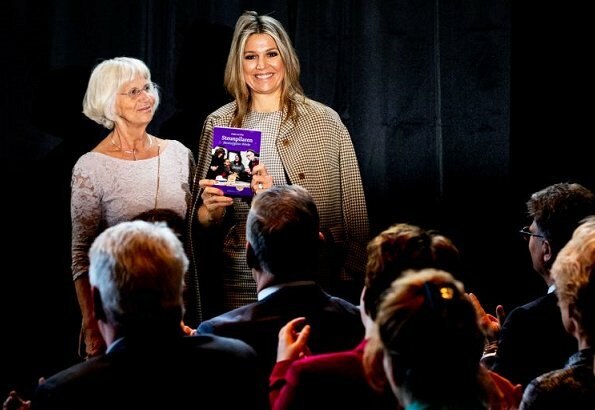 On the morning of April 16, Tuesday, Queen Maxima attended the conference "Making work of MeeleefGezinnen" in Doorn. The congress is an initiative of Stichting Meeleefgezin and Vakblad Vroeg. 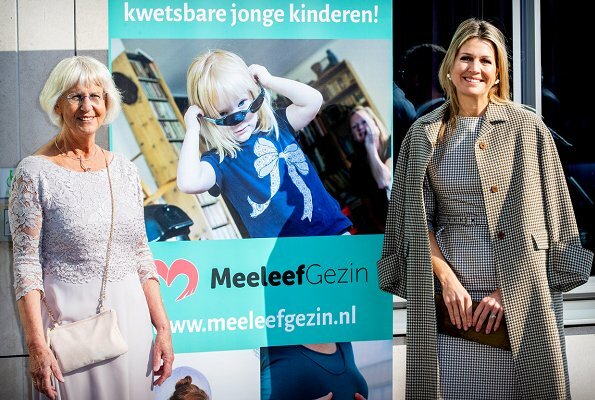 MeeleefGezin (Foundation Sympathetic Families) offers parents with psychiatric problems the support of a sympathetic family for their children aged zero to four years. Caring parents are volunteers who offer their families a stable and safe environment where these children are welcome at regular intervals. MeeleefGezin Foundation won an Apple of Orange from the Orange Fund in 2014. Oh, hello, Ms. Sherlock Holmes! LOL there sure is alot of this pattern. I like Maximas dress and coat ensemble, it looks chic, but her hair not so much,must be a windy day as well. This is a improvement in style in comparison to a lot of other occasions. In my humble opinion she is looking unhealthy quite a while. Maybe her hair would look way better with a bob! Yes, most anything would be an improvement. Love this outfit is smart and chic, an extra centimeter on the dress and a well executed ponytail would make it perfect. Va mas discreta que otras veces, el vestido mejor con otro abrigo tono unido, siempre dicen es el viento que la despeina, no sabia el clima era tan malo en Holanda,las mechas,las puntas estropeadas, tambien el culpables es el viento?